"The approximately 8,500 students at Sonoma State University enjoy a "beautiful campus" in the heart of California's Wine Country, about 50 miles north of the cultural mecca that is San Francisco. Popular majors among the career-oriented student body include business administration and psychology." Describe the type of student who should not attend Sonoma State University and explain why. Describe the type of student who should attend Sonoma State University. Why? Students who are motivated, determined to getting in and out. Students who want an education and plan on enforcing their education rather than not getting a job in the field they majored in. What is a typical Sonoma State University student like? Describe the type of person that should attend Sonoma State University. What are the top 3 reasons someone should attend Sonoma State University? The campus is absolutely beautiful, good academics (especially some majors like Hutchin's or Wine Business), and the great staff. What was a typical Sonoma State University student like in high school? Describe the type of person that should attend Sonoma State University. SSU calculates an admissions index number based on his or her standardized test scores and GPA. Located in California's premier wine country 1 hour north of San Francisco, Sonoma State is a small campus with big ideas.With a tradition of promoting intellectual and personal growth, leadership opportunities and technological proficiency, SSU offers its students a friendly, safe and informal atmosphere on a beautiful campus setting.Currently, campus housing accommodates students in both apartment and residential suite style facilities. While SSU generally accepts all qualified students who apply from high schools in its service area, 80 percent of the freshmen and 55 percent of the junior transfer students come from outside the North Bay region. With approximately 40 percent of its student body living on campus, it is one of the most residential campuses within the system. What are the top 3 things that students do for fun at Sonoma State University? Campus housing is available for undergraduates. Housing deposit : $1,000.00. Housing deposit is partially refunded if student does not enroll.. Freshman allowed to have car. No pets. The average student pays $14,396 for tuition, fees, and other expenses, after grants and scholarships. Learn more about financial aid at http://www.sonoma.edu/finaid/. Estimate the net price for you at http://www.csumentor.edu/finaid/pais/. The typical (median) early career salary of Sonoma State University graduates is $44,700, according to Payscale. Sonoma State University participates in the NCAA Division II for college athletics. Want more info about Sonoma State University? Get free advice from education experts and Noodle community members. Can I go for nursing? Indeed you can! 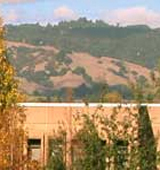 Sonoma State University has a nursing department that offers both bachelors and masters degrees in nursing. You can find out more about the specific programs that the nursing department offers here, at the department website.